Chrisopigi monastery and rock bath in Sifnos. 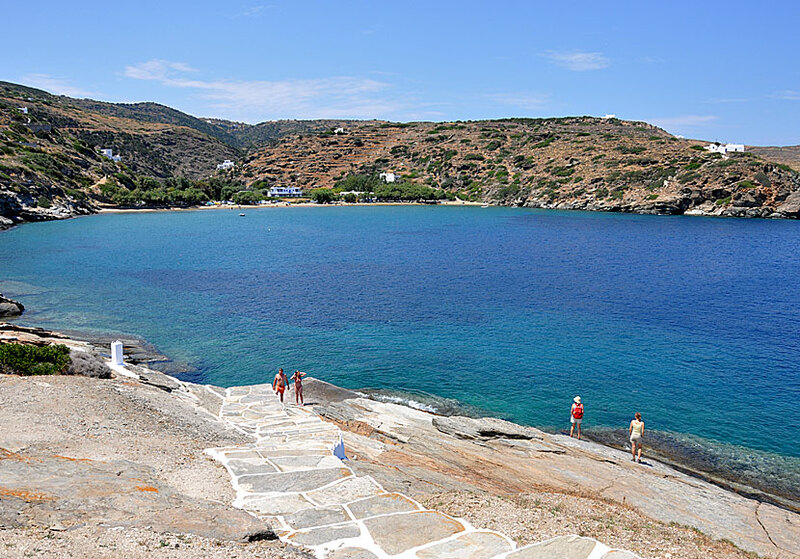 Not far from Faros and Apokofto is Chrisopigi, which is the best bathing-place with rocks on Sifnos. 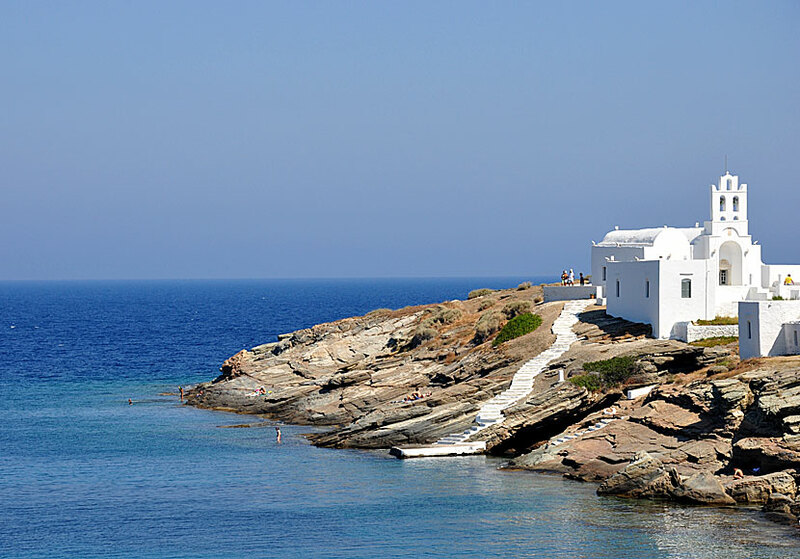 I love to swim off the rocks, and this bathing-place with rocks belongs to my favourites in Greece, almost in the same class as Agia Anna on Amorgos. And it is not just because there is - like at Agia Anna - a monastery nearby. 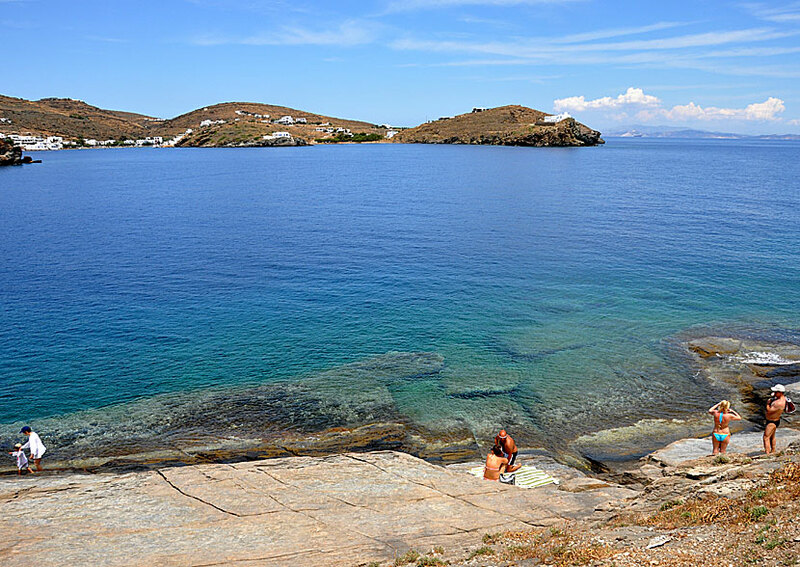 On both sides of the rock it is possible to sunbathe on, and dive from, perfectly shaped rock formations. One do not necessarily have to dive, there are small ledges from which one can walk or jump in. The monastery Chrisopigi and the rocks. The water is crystal clear and perfect for snorkelling. There is a deep underwater ravine a few metres out in the water to the right of the monastery. When you snorkel over the ravine it tickles in your stomach and you feel almost like Jacques Cousteau. Nudism is strictly forbidden since the bathing-place is within the monastery area. Rocks at the monastery Chrisopigi. Faros on the other side of the bay. The monastery is located on the rock that juts out into the sea, a small bridge connects the rock with the mainland. According to one legend - there are several - two young girls where on the rock when they were attacked by pirates. They prayed to the Virgin Mary for help and the rock was cut in two. The story do not tell if it helped. Like in all Greek churches the monastery's church have an important icon. This icon was found - like many other Greek icons - floating in the sea by a fisherman. The icon of Panagia Chrisopigi considered to have healing powers and it is said that it have done more than 35 miracles. Apokofto is on the other side of the bay. If you stay in Faros, you see the rock and the monastery almost wherever you are. 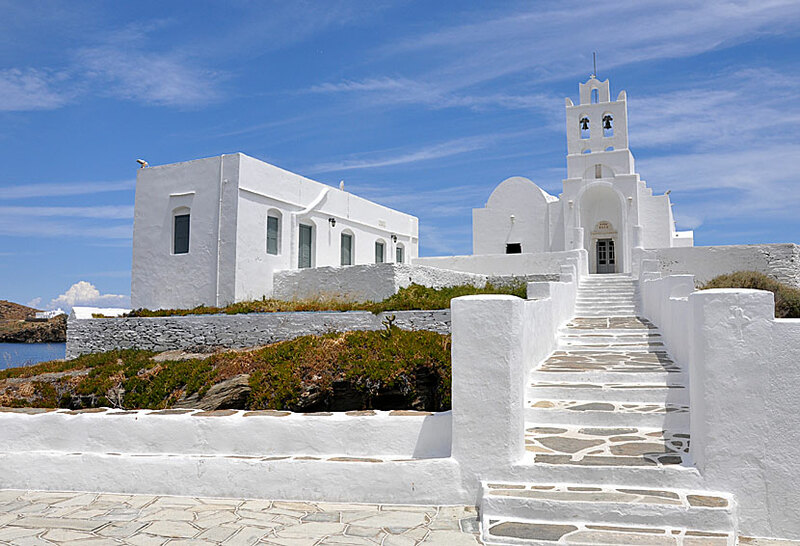 Most likely, you will be part of both weddings and baptisms if you stay in Faros a few days. It is not uncommon with several weddings and baptisms every week. Sometimes the bridal couples arrive by boat, and it is incredibly beautiful.